Please use this option to request a quote for transport around Jordan if all the journeys you want are not listed as single products with rates. There is a form to complete please do as much as you can so we can provide accurate rates the first time. We will then provide a quote by reply. Receiving a quote is free of charge. If you would like hassle free transport for fair prices we are happy to assist with your transport arrangements in Jordan. On request we can give quotes for any itinerary you may need. The standard rates for the most common journeys are written below and are now available below as products, bookable online through our website. We use fully licenced, independent taxi drivers from Aqaba who we know well and trust. We have been using their services for our guests for many years. The vehicles are privately owned taxi's all in good condition. If you are staying with us in Wadi Rum and you just use us to arrange arrival/departure taxi's we do not take commission or charge anything to organise, the money goes directly to the driver, so please pay him directly in cash. Please arrange these trips with us by e-mail as a part of our regular booking process. If you are staying in Wadi Rum with us and would like to use our drivers for other journeys around Jordan as well as arrival/ departure in Rum then then a arrangement fee of 3.00 EURO’s per journey is payable to us in advance, with a maximum fee of 15.00 EURO’s (more than 5 journeys the fee is capped at 15.00 EURO’s). Arrangements can be made with us directly as we are communicating about your tour/ accommodation or you can book using the products below. If you are not using our services in Wadi Rum you can now book the taxi transfers online below. We simply charge a arrangement fee of 3.00 EURO’s per journey is payable to us in advance, with a maximum fee of 15.00 EUROS (more than 5 journeys the fee is capped at 15.00 EUROS). The fee is to cover the time and cost to us for making the arrangements for you. If you like hassle free transport, fair prices, and you like to support small local grassroots businesses this is a good option for you, Insha'Allah. We have also included below information about any public transport available from and to Wadi Rum. Please note, us making arrangements depends on us seeing the message generated on booking. This means bookings should be at least 24 hours before the first collection time. You can also take the early morning Petra bus. This leaves Wadi Musa at 6.00-6.30 am, arrives Wadi Rum 8.30 am: 7 JD p.p. The bus will run if there are enough tourists coming from Petra - Wadi Rum. Sometimes at quiet times of year it will not run everyday. This bus will run on Friday's as long as there are enough people wanting to use it. Taxi transfer: Wadi Rum - Petra or vice versa. Maximum 4 people. Rate for the journey is 45JOD. Please pay this to the driver directly in cash. The advance online arrangement fee is paid to Bedouin Directions. Multiple taxi transfers: Maximum 4 people. Please use this option to book more than five journeys. The rates for each transfer are detailed on the individual products, and the transport page. Please pay the driver his fees directly in cash. The advance online arrangement fee is paid to Bedouin Directions. Only one fee is due for the booking, the charge is not per transfer. If you want us to arrange multiple transfers over your stay in Jordan, please use this product to book the transfers. You then pay just one arrangement fee. Once you have detailed all the journeys required in the form, we will reply by e-mail and confirm the booking and the total taxi rates (all as listed in the single products, and on the transport page). Taxi from Aqaba town center to Wadi Rum: 25 JD (max. 4 people per taxi). A taxi from Aqaba South Beach/Tala Bay/Ferry Port to Wadi Rum: 30 JD (max. 4 people per taxi). From the border (Aqaba/ Eilat), or Aqaba Airport a taxi can be arranged. On booking this journey please provide your full name and passport number. The driver needs this information to show he has a valid reason to be waiting there. He also has to pay 10 JD to be allowed to collect you, so the price is 40 JD for this journey. Wadi Rum to the border (Aqaba/Eilat), or Aqaba Airport. This journey is 30 JD. There is a one daily bus between Aqaba and Wadi Rum. It starts from Wadi Rum 6.30-7.00 am, arrives in Aqaba 7.30-8.00 am. This bus is the only bus for the Rum Village so it is usually full each day. If you would like to try to catch it we can try to get you back to the village early enough. However, tickets cannot be booked for the bus, so we do not usually recommend trying to catch it. The bus journey is 3 JD p.p. (This bus does not run on Fridays). The bus from Aqaba to Wadi Rum leaves the bus station in Aqaba at approx 1.00 pm, but you should be there for 12.00 pm to be sure to get a seat as it is usually full each day. This bus will come all the way to Rum Village. Price: 3 JD p.p. (This bus does not run on Fridays). During term time there is also an early morning bus from Aqaba - Wadi Rum for the teachers of the school. I am not sure of the cost or how you catch it as it is not primarily a tourist bus, and I never use it, but it leaves Aqaba around 6am and gets to Rum Village around 7am. 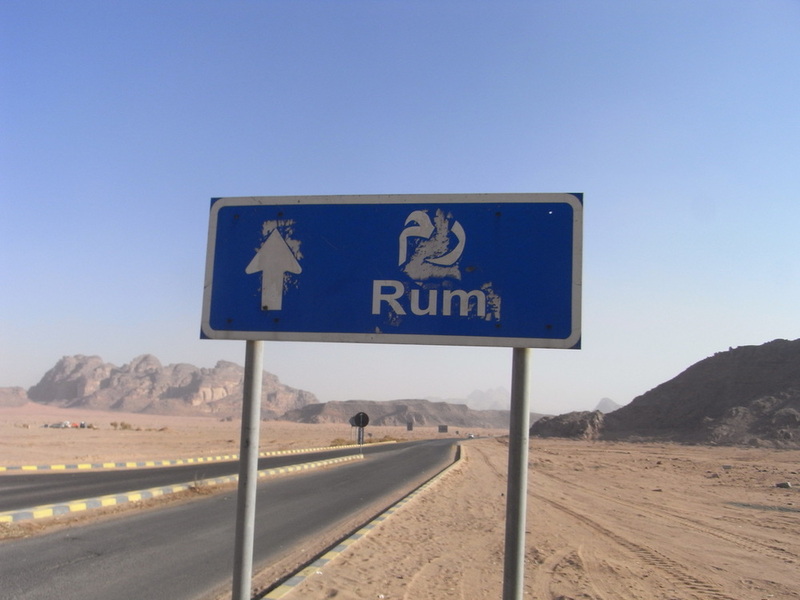 There is one more option to go to Aqaba from Rum Village. You can take the bus going to Petra as far as the high way junction. This costs 3 JD p.p. At the highway you get down, you cross the road, you will see a bench seat with a shade to wait at. Any bus that passes is going to Aqaba and if this bus has free seats they will stop. This last leg of the journey costs 1 JD p.p. This is not a good plan on Fridays as the buses are so infrequent, you could be waiting for hours. Taxi transfer: Aqaba - Wadi Rum or vice versa. Maximum 4 people. Please pay this to the driver directly in cash. Taxi transfer: Wadi Rum - AMMAN or vice versa. Maximum 4 people. Taxi transfer: Amman - Dana Town or vice versa. Maximum 4 people. 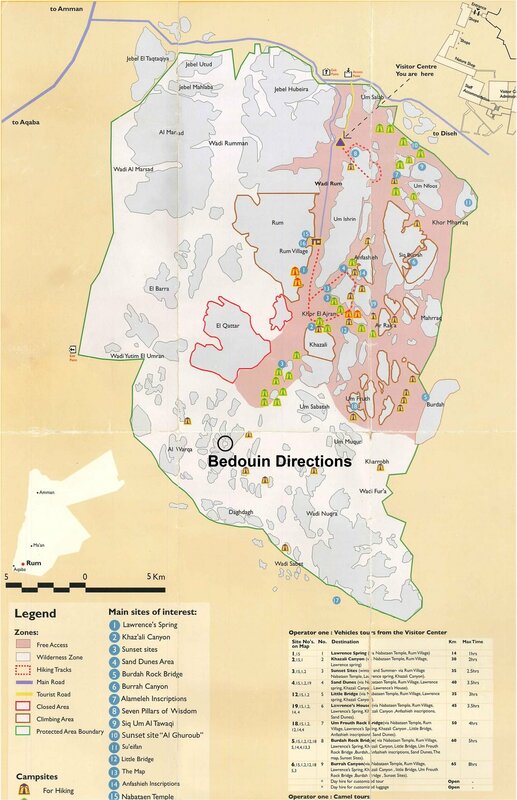 Taxi transfer: Wadi Rum - Madaba or vice versa. Maximum 4 people. Rate for the journey is 100 JOD. Please pay this to the driver directly in cash. Taxi transfer: Wadi Rum - the DEAD SEA or vice versa. Maximum 4 people. Taxi transfer: Dead Sea - Petra or vice versa. Maximum 4 people. Rate for the journey is 85JOD. Please pay this to the driver directly in cash. This rate does not include drop off/ collection from the Bedouin Camps at Little Petra (+10JD). Taxi transfer: Amman - Petra or vice versa. Maximum 4 people. This rate does not include collection/drop off at the Camps around Little Petra (+10JD). Taxi transfer: Dana Town - Petra or vice versa. Maximum 4 people. Rate for the journey is 30 JOD. Please pay this to the driver directly in cash. Taxi transfer: Aqaba - Petra or vice versa. Maximum 4 people. Taxi transfer: Wadi Rum - Dana Town or vice versa. Maximum 4 people. Rate for the journey is 60 JOD. Please pay this to the driver directly in cash. Taxi transfer: Madaba - Petra or vice versa. Maximum 4 people. Rate for the journey is 85 JOD. Please pay this to the driver directly in cash. The above journeys are all direct journeys without touristic stops to visit sites (bathroom stops can be made when needed), Please contact us directly with questions about any other journeys you may wish to do (wadirum.mehedi@gmail.com) or use the GET QUOTE product at the top of this page. Many people explore Jordan by renting a car. In general the roads are good and not too busy so Jordan is not a difficult country to drive in. Amman is more difficult to navigate & there is more traffic but the rest of the country the roads are simple and the important signs are in Arabic and English. This is probably the most flexible way to explore as the buses can be restrictive in their route and timings, and taking taxis can add up and involve some hassle. Also some sites in Jordan (Dana, Dead Sea, Wadi Mujib, Desert Castles) can only be reached by rental car or using a taxi/ private driver. A lot of the rental cars in Jordan will also provide a GPS navigator with the rental car, which proves to be a good option for many people. Wadi Rum Guest House - We meet here! Once you have your ticket continue down the road with your car/taxi for about 5KM. You will reach the village. I will meet you at the Guest House which is the 1st building on the right as you enter the village. There is a car park there where you can park your car safely. Please call or text me from the road when youare close to Wadi Rum, so that I know you are on your way and on schedule. If you are arriving in a TAXI, take a little bit of care. If the driver wants you to change to another guides car, before the Visitor Center or before the village, or at a different place in the Village (other than the GH), he is not giving you to me but a guide who will give him commission for 'delivering' you. If you are suspicious or have any problems you can call me (00 962 776 886 481/ 0776 886 481). Sometimes Hotels in Petra will tell you the bus is not running when it is. This is usually because they want you to take a shared taxi, they will usually (not always but it does happen) also try to get you to change your booking to their contact in Wadi Rum. If the Hotel is telling you the bus is not running please e-mail me (wadirum.mehedi@gmail.com) and I will call the driver to check if this is correct or not. Sometimes it will not run if there are not enough people, the road is closed etc, so it can happen. You can also call me or text me (00 962 776 886 481/ 0776 886 481). If you do decide to change to their guide, please do contact me to cancel so I am not waiting unnecessarily for you. Many thanks. Practically if I try to meet all my guests at the Visitor Center, once you have arrived we then need to drive to the village to sit together talk about the tour, drink some welcome tea, get organised etc. (nowhere to sit at the Visitor Center). Then when I am driving between the Visitor Center and Village or sitting talking with people that have just arrived, the Visitor Center is left unattended. Then if you are expecting to meet someone there and we are not there, it will be easier for people to trick you. I could pay someone to sit there all day, everyday waiting for my guests, but even then once he has met them, he would either need to call me to collect them, or to bring them to the village himself, leaving the Visitor Center unattended again. This also quickly adds up to a lot of backwards and forwards journeys between the Visitor Center and Village. Not good for the environment and a waste of time when it is easy for you to come to the village.